He's a hard-charging, say-it-like-it-is "shark" on ABC's hit show "Shark Tank." More people know him better these days as "Mr. Wonderful" than Kevin O'Leary. But it turns out the Canadian-born business tycoon has a soft, vulnerable side when he's off the set. 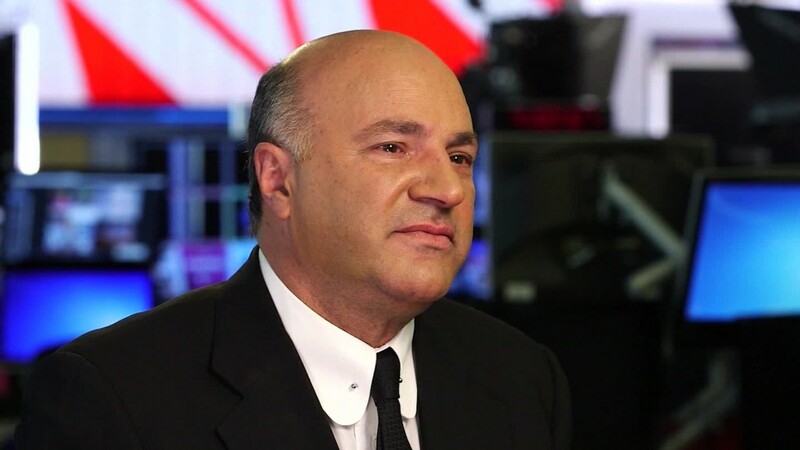 In a recent interview focusing on why he's betting big on women entrepreneurs, O'Leary seemed to surprise himself when he teared up over a question about his struggles with dyslexia as a child. "I was dyslexic and very, very much so" he told CNNMoney. "It was very challenging for me. I couldn't read at an early age." His inability to read and keep up with his classmates shattered O'Leary's confidence. "I was really wondering if I was ever going to make it ... those were very tough times. I was failing. There was a lot of panic in my own family," O'Leary said. Eventually his mother placed him in an "experimental class," he says. She "made sure I got in there somehow, and I thank her so much for it." O'Leary credits that class, taught by child psychologist Dr. Margie Golick and Dr. Sam Rabinovitch, with turning his life around and helping him overcome his dyslexia. "You feel so weird when you're dyslexic," he recounts, but the teachers would tell him "look, this is not a fault. You have a super power." He says the pair "changed the way we deal with dyslexia and how we teach [dyslexic children]." O'Leary notes that many other successful business leaders have struggled with the learning disability. For example, Virgin founder Sir Richard Branson and Cisco Executive Chairman and former CEO John Chambers have both spoken publicly about their dyslexia. Investment guru Charles Schwab wasn't diagnosed with dyslexia until he was 40 years old. "I meet lots of dyslexic people today and I get to encourage them. It is a super power. That's what I say to them," O'Leary says.